My dream became my mission and it found a way into a food magazine Köök. 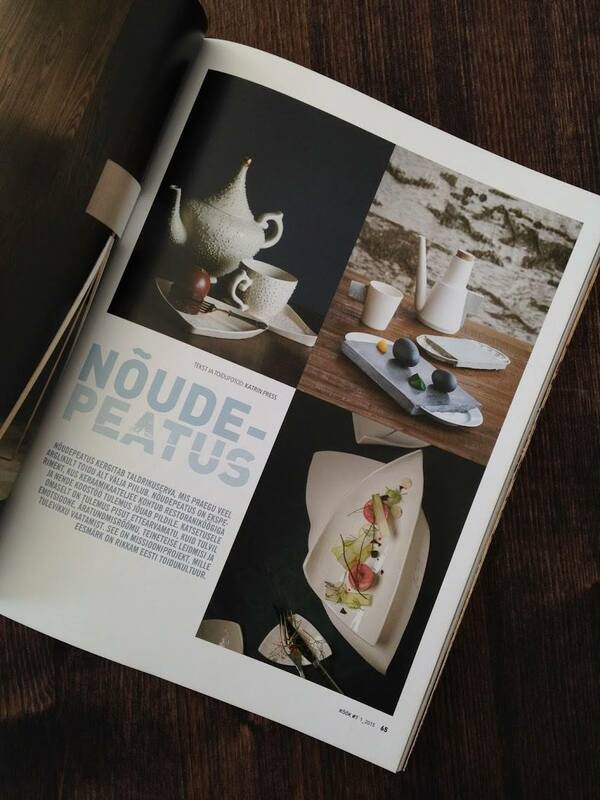 I have a section Nõudepeatus (meaning sth like ‘dish stop’) in this quarterly magazine where I find a ceramist or a designer I like, present their work to a chef and let the chef develop a dish according to the tableware. Then I photograph the outcome of their collaboration, write the interviews with them both and thats it. I hope the readers will find something they like, either the tableware or the recipes. So this is how it looked like for the first time in spring 2015. And in the actual publication. This was the beginning. I was tied to the idea that I should introduce a ceramist to a chef and see what comes out. Most of those set-ups were photographed on location, meaning in restaurants and using the available backgrounds because chefs are used to working in their kitchens. Also I had to carry loads of props, gear and backgrounds to there and back. Set up lighting in available spots etc. I understood pretty fast that this was very limiting and working against the artistic goals and against the readers’ interest. Also I had chosen a format that limited the display of tableware items and very often it was difficult to find a right angle for both food and tableware in one frame. For the autumn issue I found a restaurant and a ceramist that already had a working relationship. 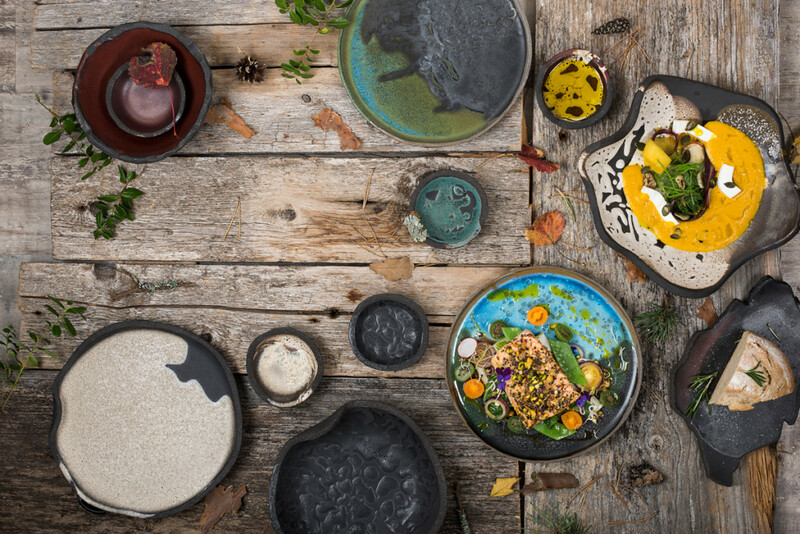 They had been working over a year to create a custom set of tableware for a newly opened restaurant Kuur that used to be a hit foodie destination during the previous summer. I also managed to get the two characters into my studio and we worked the set there. I was much happier with the whole work process and the outcome as well. 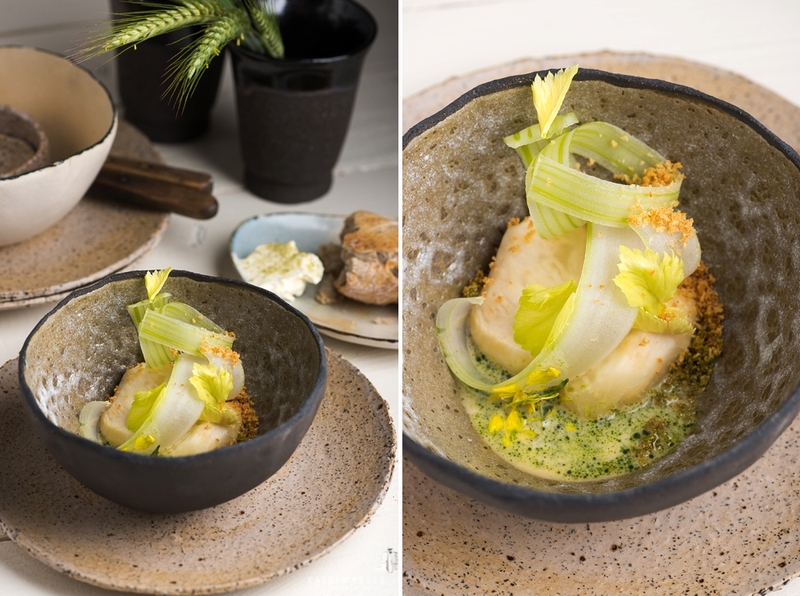 We photographed the making of the dishes as well as individual tableware items and details. I also visited the ceramist’s studio the day after and snapped her working. Not only was it more interesting for the audience, but it was also a more rewarding experience for all of us involved. 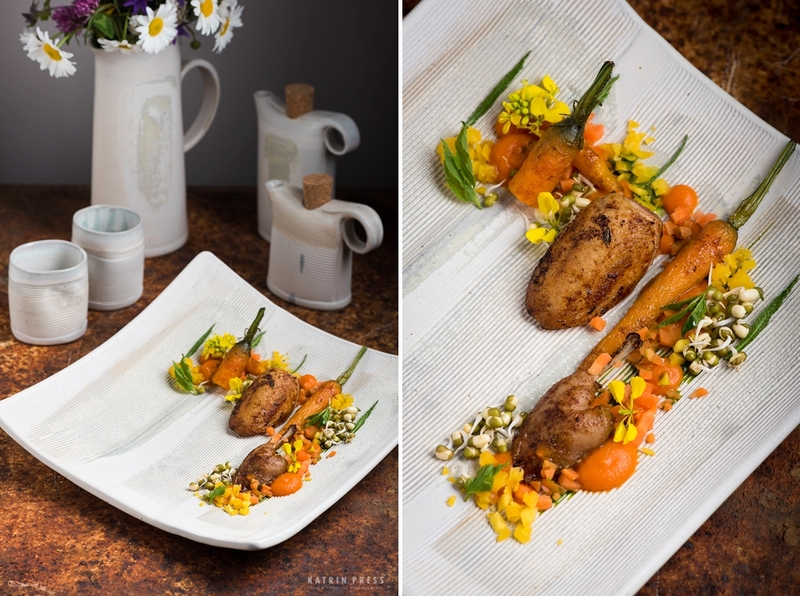 It was much easier for me to style the shoot together with the author of the tableware and to get a deeper understanding of how she works and why the items are made to look like that. I’m writing this in order to thank all the people involved in my dream catching in 2015. Word spreads and some of my photos were chosen to an exhibition called ‘Kitchen. 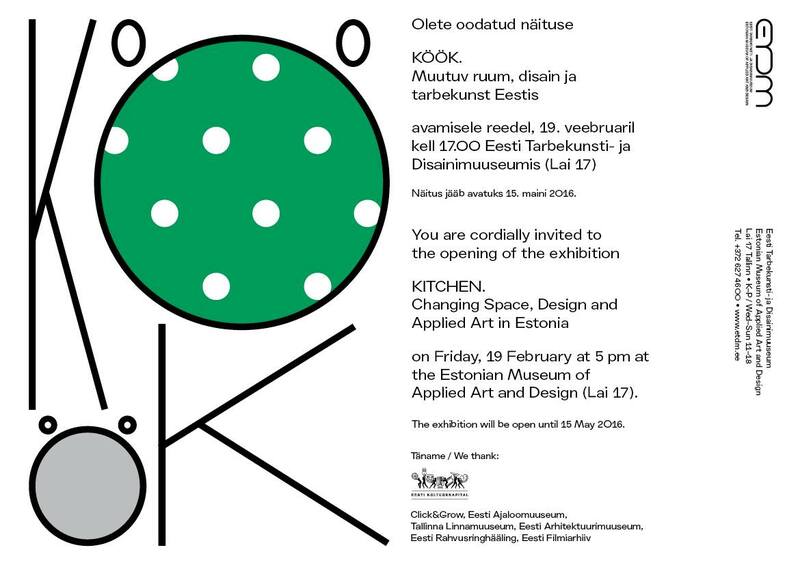 Changing Space, Design and Applied Art in Estonia‘. Thank you all the ceramists, chefs, magazine editors, design museum people and friends and welcome to the show! 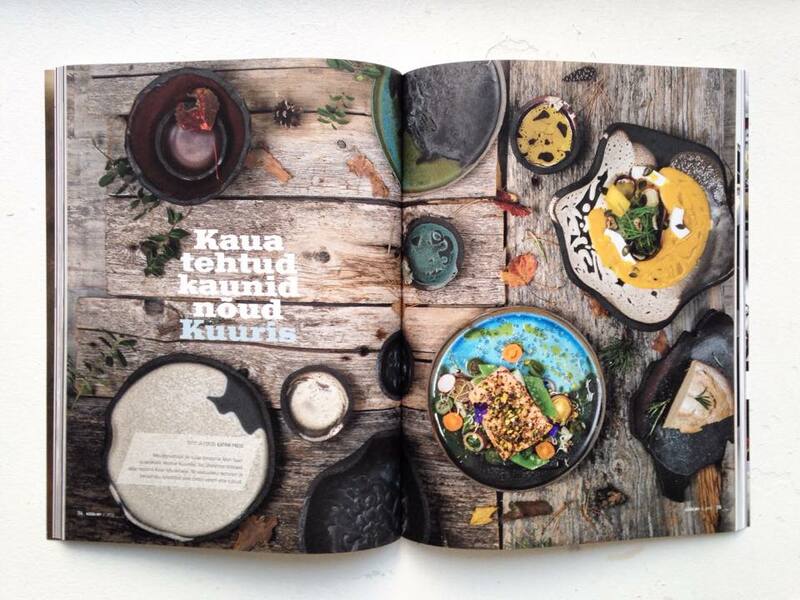 The section in magazine Köök will go on and will have a fresh look on Estonian tableware design already in a month or so.